The Handling Equipment Online.com range of specialised pallet trucks delivers a variety of different pump trucks which have been designed, engineered and built, in order to perform a specific function or job. 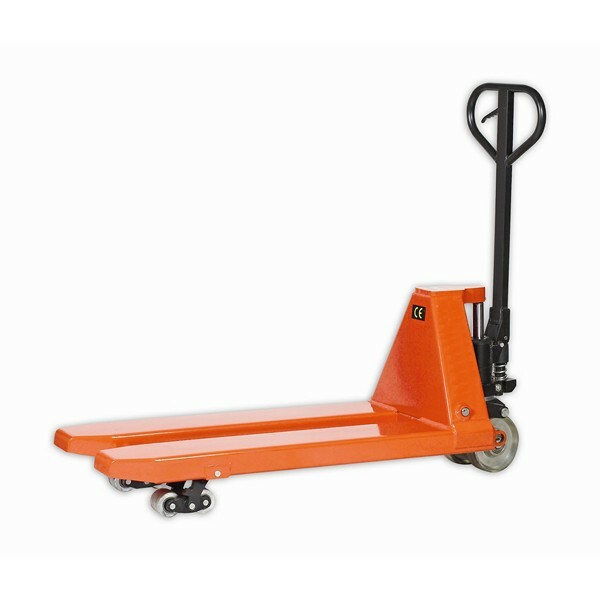 Hand operated pallet trucks also often referred to as sack trucks and barrow trucks, they are an extremely adaptable addition to the equipment of any workforce. Combining two metal forks which slide under the pallet, with wheels and rollers which enable movement of both the truck and loaded pallet simultaneously. The pallet truck due to its durability and great range of movement and mobility, provided by heavy duty wheels and rollers, is the ideal solution to any pallet movement requirements. 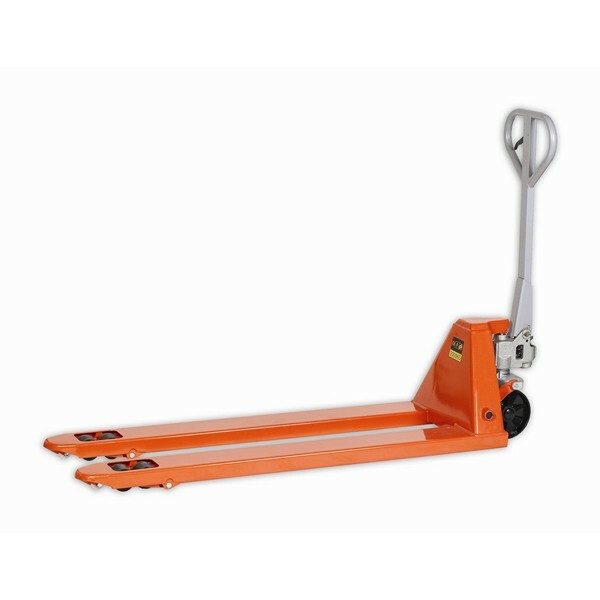 The Handling Equipment Online.com range of specialised pallet trucks is extremely expansive to ensure that any situation which requires a pump truck can be effectively catered for. For instance Tiger rough terrain pallet truck, with a load capacity of 1200Kg, provides transportation on rough and undulating surfaces, facilitated by large diameter pneumatic tyres. It is often used as a cost effective alternative to a rough terrain forklift used in construction and agricultural environments. 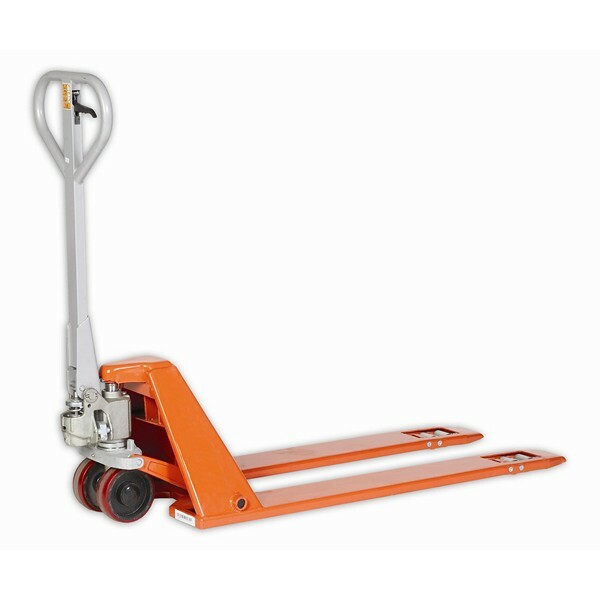 We also provide the Tiger high lift pallet truck series, available as either semi electric or manually powered,able to lift safely to a load capacity of 1000Kg up to a height of 800mm, quickly and efficiently. 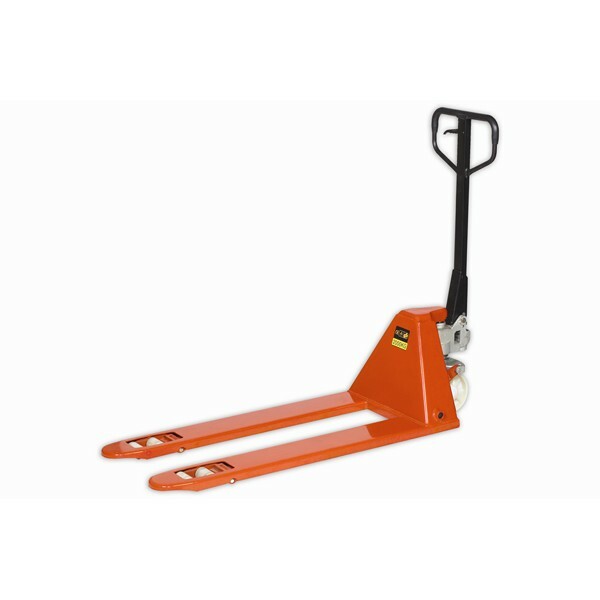 The vast range also includes conventional pallet trucks which have been slightly adapted to serve specific criteria, for instance the Tiger 5000Kg super heavy duty pallet truck, is the last word in heavy duty pallet movement, able to safely move pallets to a phenomenal weight capacity of 5000Kg. 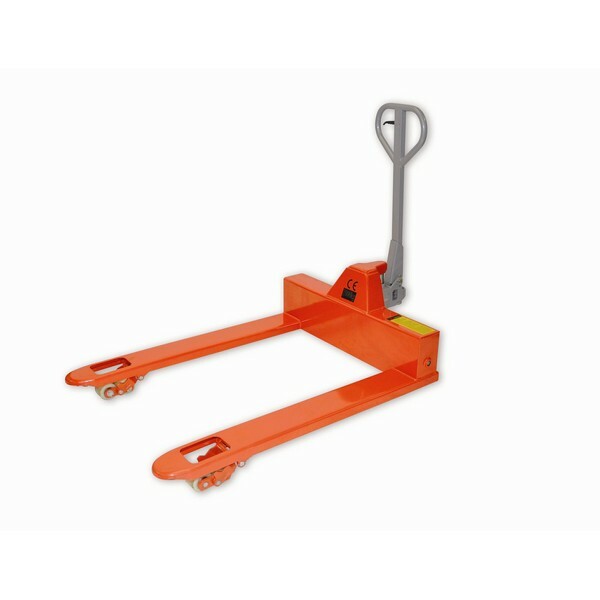 The range aims to address any pallet movement requirements which may arise, catering for longer pallets or loads with the tiger extra long pallet truck. The longer fork construction of this truck easily handles loads of greater length. 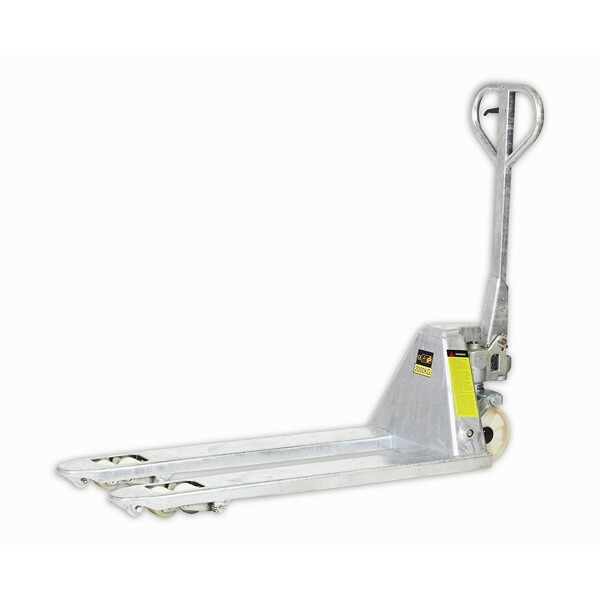 For wider loads the tiger extra wide pallet truck provides, with an increased fork width this model is able to carry pallets to a width of, either 838mm or 1000m (dependent on model) with ease. The range also caters for loads which may require a lower loading height, such as vending machines or handling crates. This is enabled through forks which can be lowered to a minimum height of just 35mm. 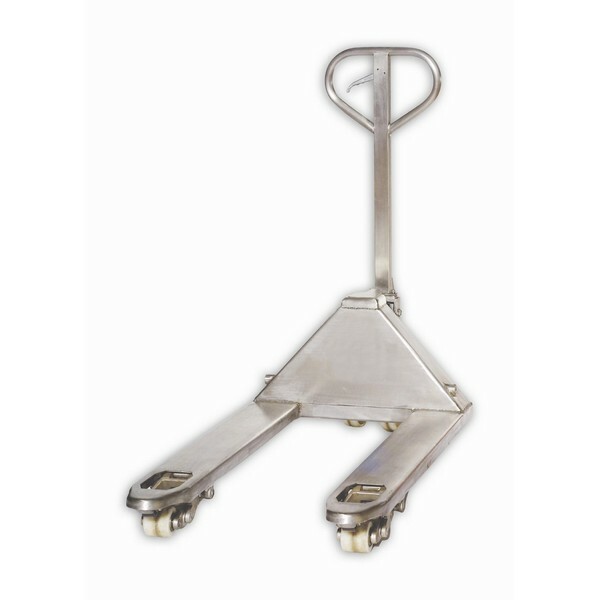 Other models in the range include the full stainless steel, and the semi stainless steel pallet truck, which are ideal for use in wet environments and environments which demand high levels of hygiene such as pharmaceuticals.. If you have any questions or queries regarding our specialised pallet trucks, please do not hesitate to contact our technical team on 01384 895859 who will be more than happy to answer these, providing honest advice based on many years of industry experience.